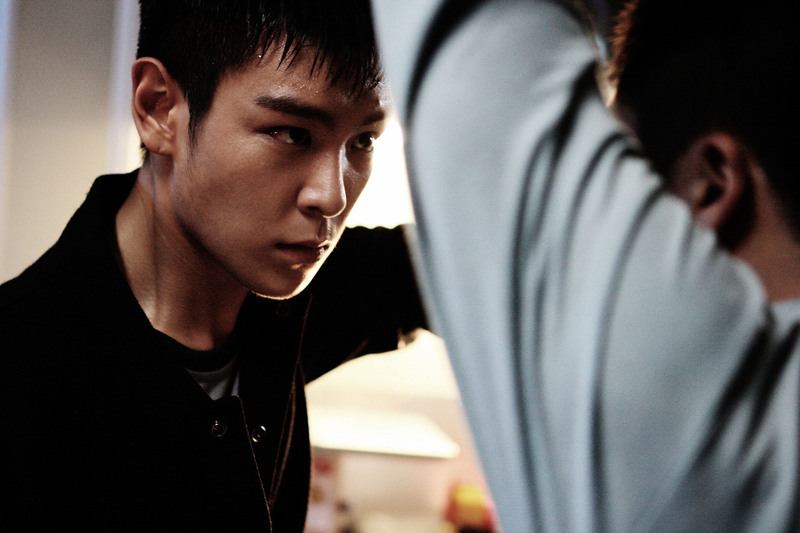 T.O.P’s new movie “Commitment” opened on December 6th in select theaters across the United States. I’m lucky enough that the film is playing right near my house. That’s right guys, I got to see T.O.P on the big screen! I must admit that I was a bit nervous to see the movie. 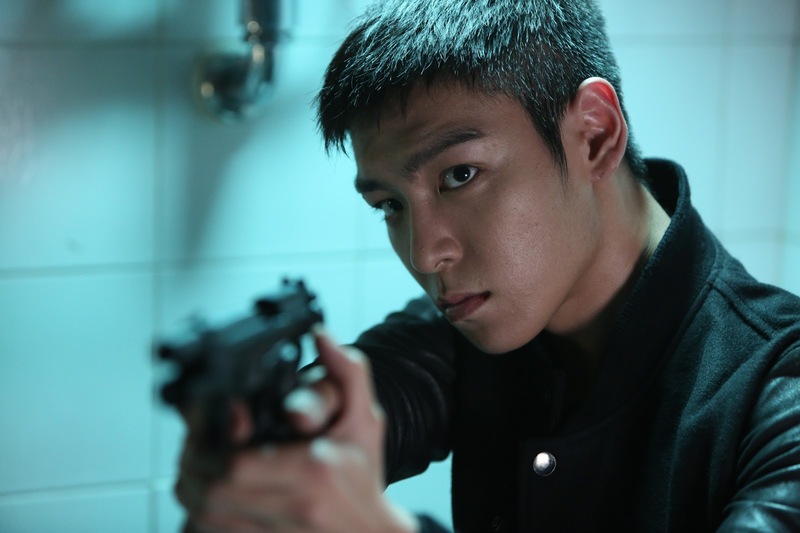 I’ve always liked T.O.P for reasons other than his acting. His rapping abilities are amazing, his cheekbones are God-like, and I love when he lets his silly side shine through, but until now I’ve largely stayed away from his acting projects. Don’t listen to that fancy New York Times movie critic or the low rating on Fandango- This movie is great! If you are a fan of Korean entertainment, especially dramas and movies, I’m almost certain you’ll also like this film. 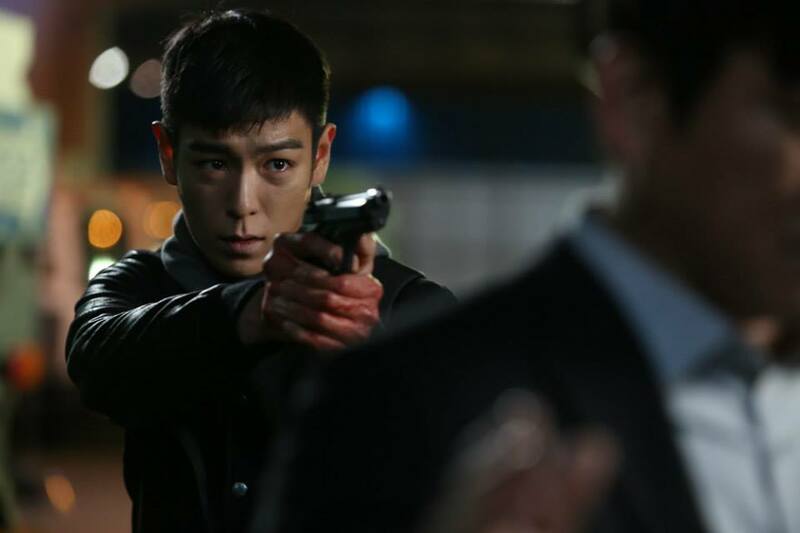 “Commitment” tells the story of a Lee Myung Hoon (Choi Seung Hyun aka T.O.P) , a young North Korean sent to the South to work as an assassin. He must go in order to ensure the safety of his younger sister. While posing as a high school student, Myung Hoon gets caught up in a North Korean power struggle, endangering his role as a spy. His dream is to return to the North to be reunited with his sister and his commander has assured him this happen as long as Myung Hoon cooperates. 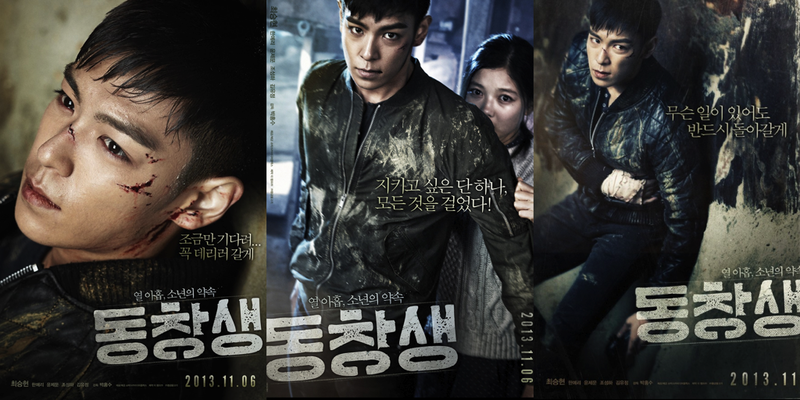 T.O.P really impressed me in this role and his stoic character fit well within the framework of the movie. While the situations were at times far fetched, the film kept me throughly engrossed. Myung Hoon’s diehard dedication to his sister and budding feelings for his classmate helped to create empathy for a character that must also commit terrible crimes. It’s as if Myung Hoon is trapped in a fish tank. He obeys all his orders like a nice North Korean solider, but will this actually do him any good? He is certainly stuck between a rock and hard place, or better yet, a rock and 10 armed assassins. I was skeptical about T.O.P playing a high school student. High school is not where a grown 26 year old man should be. That being up said, the high school scenes were some of my favorite ones in the movie. They provide some welcome comic relief in a film that is largely centered around espionage and assassination. My critique would be that they could have included more to better balance out the melodrama. Myung Hoon’s cute moments include accidentally attacking a teacher, beating up a gang of bullies and showing his surprise at being called Oppa by his love interest. While his time in school is short lived, I certainly enjoyed the trip. “Commitment” boasts some great action scenes. 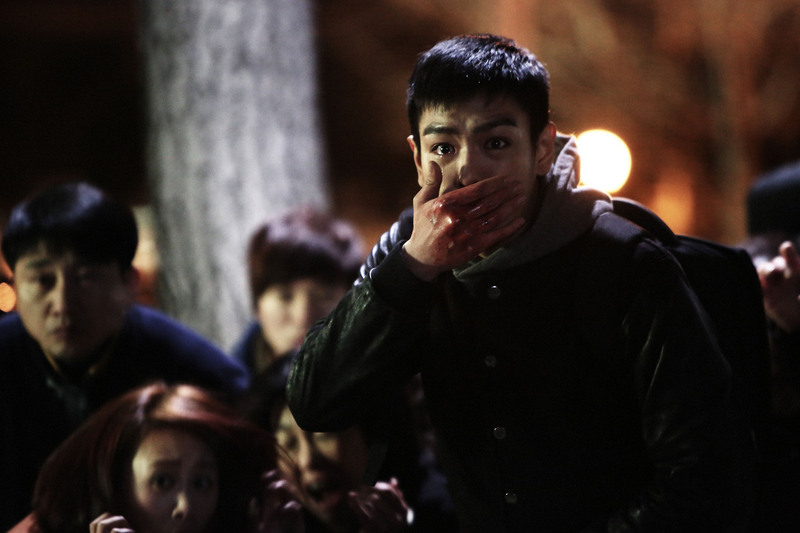 T.O.P’s movements are super fast and precise, and while violent, the violence in the film was not overdone. Some other Korean movies I’ve seen, such as “Tough as Iron” and “Secretly Greatly”, were so violent I found myself cringing heavily during each action scene. “Commitment” presents a more detached outlook to the violence. While Myung Hoon is a killer, this film is also about his own self discovery. He comes to learn that his identity extends further than just that of a North Korean assassin. Actress Han Ye Ri plays Myung Hoon’s classmate Lee Hye In. Not only does she have the same name as Myung Hoon’s beloved sister, but she also manages to become Myung Hoon’s first true friend. Han Ye Ri does an excellent job portraying her character’s quite, yet resilient desire for a better future. She is able to offer Myung Hoon support when he most needs it. Myung Hoon’s dedication to protect his sister drives his actions throughout the film. His first concern is her protection and he will do anything he can to ensure her safety. This unconditional love is more than believable and T.O.P is able to sway the audience with his devotion. Young actress Kim Yoo Jung did an admirable job in her small yet vital role. I’m looking forward to her future acting endeavors. Please keep in mind that this movie centers around a North Korean spy. If you are looking for a fairytale ending filled with love and happiness, you’ll be disappointed with “Commitment”. But despite the rather depressing premise, I felt that the movie did a great job executing its predestined plot. During the course of the movie, I became throughly invested in Myung Hoon’s fate as well the fate of those who Myung Hoon holds close to him. I couldn’t help but gawk at the unjust system that forces this young man to become a heartless killer. Heartless he is not, but who is he to refuse his orders? I’ve been thinking a lot about why I liked this movie so much more than the critics and I’ve concluded that we were looking at this from very different perspectives. No, this film is not going to win an Oscar, but that was never the point. The critics can criticize it all they want, but the movie did exactly what I wanted, offering almost two hours of action packed entertainment that kept me on the edge of my seat. I don’t care if the critics didn’t like T.O.P’s stoic acting or they thought the plot was static, I liked it and that’s what matters to me. “Commitment” is playing in select theaters across the United States. For more information, check out the official website. If you get the chance, I highly recommend that you see “Commitment”! 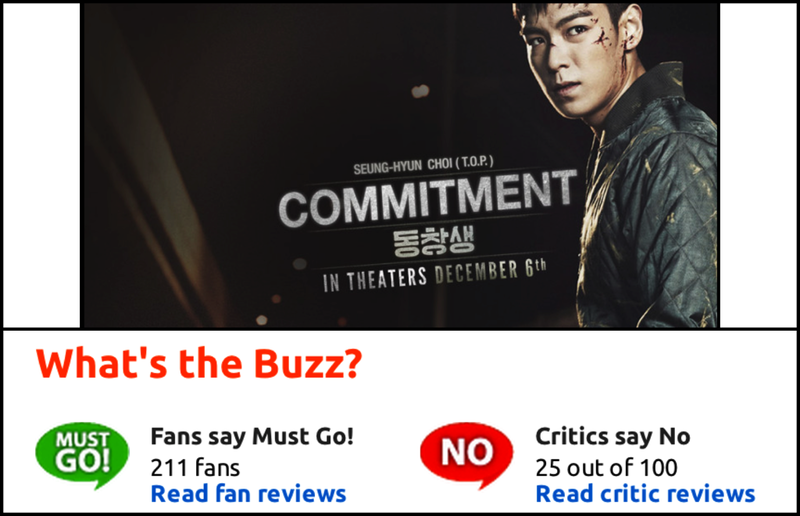 Any fan of T.O.P will likely be a fan of this movie. Have you seen “Commitment”? If so, let me know what you thought of it!